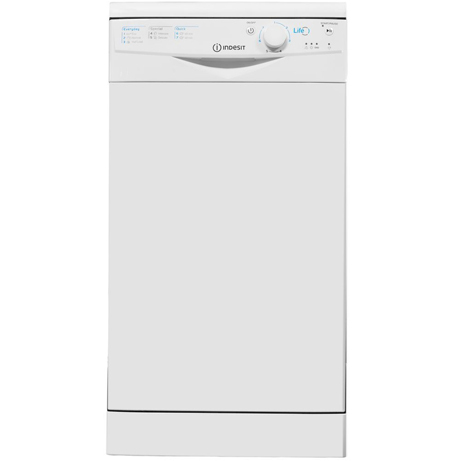 This Indesit Dishwasher is asuper slim-lined model. Finished in white this machine will fit seamlessly into your kitchen. 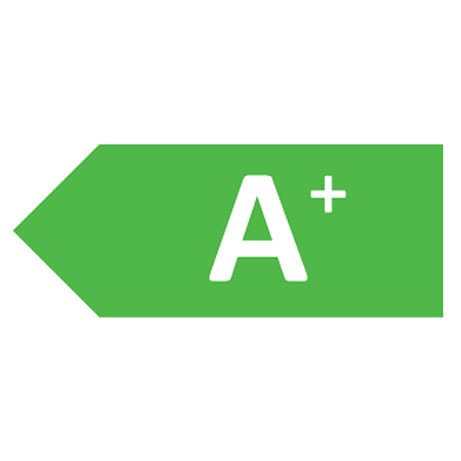 Boasting an A+ energy rating, plus a great selection of programs that uses less water. 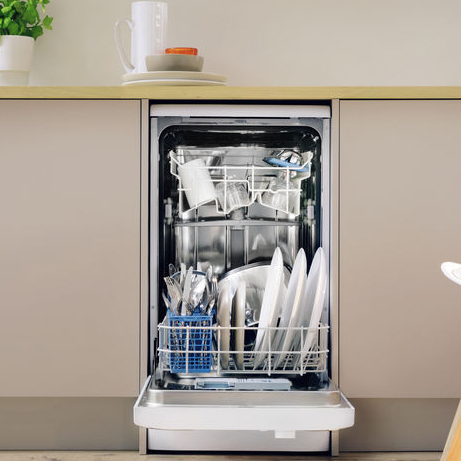 With Life Programs there’s a cycle for every occasion, whether you need an intensive clean, a quick turnaround on the essentials or an efficient half load, this dishwasher will meet your needs. 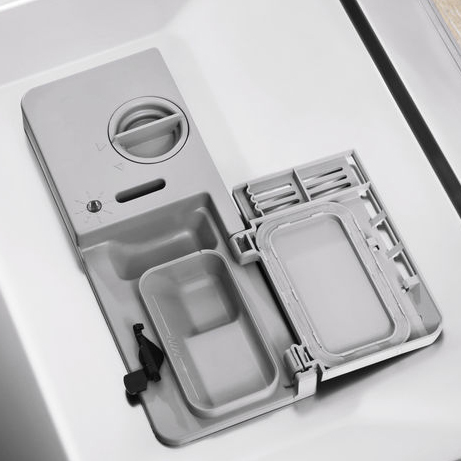 Offering capacity for up to 10 place settings, this slim-lined model is the perfect fit for kitchen’s where space is restricted, whilst providing the same exceptional room for your crockery, cutlery, cups and pans, as a full size model. Operated through an LED interface, the Self Balancing Door helps promote safety during loading, making it an ideal choice for every kind of home. 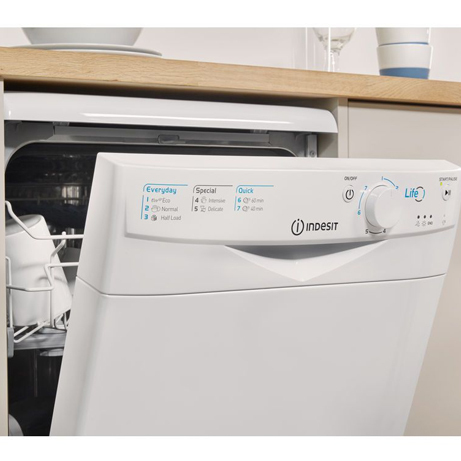 Whatever you need, this Indesit Slimline Dishwasher has a cycle that will suit. 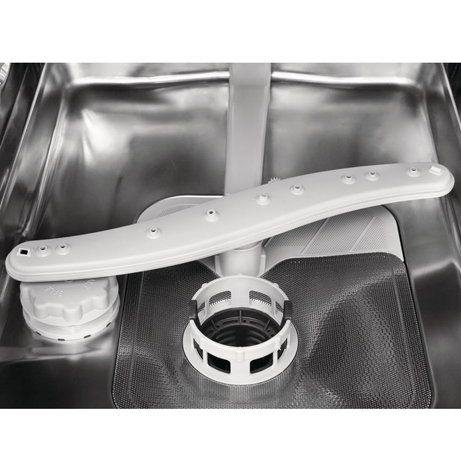 Including an intensive clean that will get larger dishes back to gleaming even when there’s food baked on this machine also boasts Quick Wash gets your essentials good to go as soon as possible. If you’ve only got a small amount to wash, the half-load setting will wash it without wasting water or energy. The self-balancing door increases safety when loading and unloading, as it won’t accidentally drop down when you least expect it. 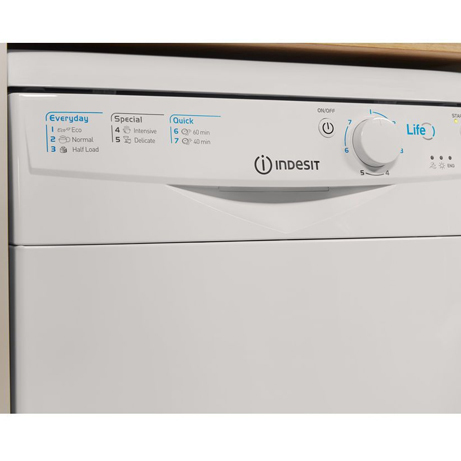 Perfect for smaller kitchens, the Indesit Slimline Dishwasher is narrow enough to fit perfectly into any home.